for your springtime and summer designs. An ethnic version of each fairy is included. The perfect touch of magic and vibrant beauty for your fantasy designs. These enchanting fairy graphics will inspire your creativity. Star is as pretty as a peacock and every bit as lovely in this Star Pretty Peacock Fairy graphics package. These colorful fairies, in shimmering iridescent blue and green, possess a vibrant and eye-catching beauty. They will be perfect for your spring and summer designs. These Star Pretty Peacock Fairy Graphics are sure to add an enticing touch of fairy magic to your creations whether you’re designing scrapbooks, cards, tags, or a website. These wonderful faes wear a variety of outfits, but all are in magnificent peacock colors from head to toe. The colors are absolutely enchanting, true eye candy that will inspire you to create something magical. 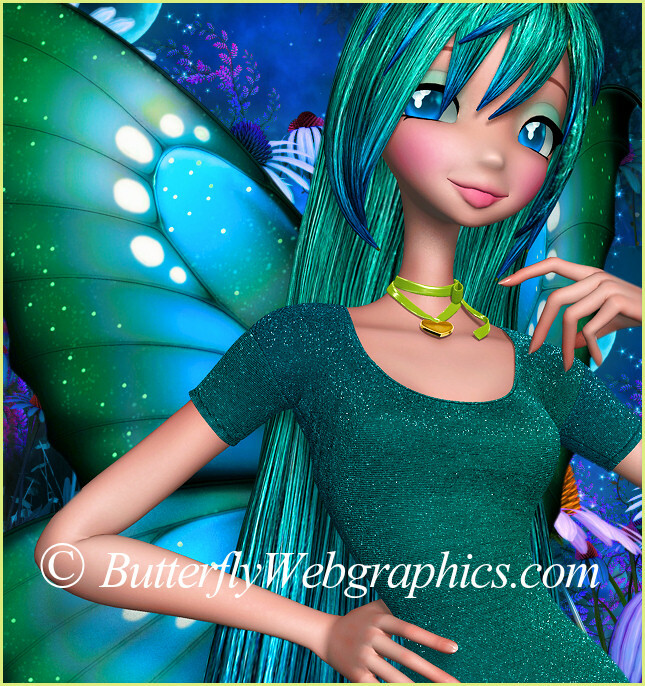 Download these fairy graphics today, and let your creativity take flight to a whole new dimension–to the place where fairies dwell. An ethnic version of each character is included. The size of these images varies, but they are approximately 1000 X 2000 pixels. All are 300 DPI, making them great for print projects. Members can use the tubes for numerous design projects, including web design, graphic design, scrapbook making, and much more. Read my terms to learn more. This package is two zip files, which are about 17 MB each.